Whether you've found a pet or lost a pet, you need to act immediately! We have a full-time Lost & Found team member that works to reunite pets and their owners. We encourage you to call or file a report online. Make sure your report includes a full description of your missing pet; we keep the description in a database, along with those of found animals reported to us each day. There is no charge for our lost and found reporting service. You should also make a personal search of our shelter at 635 W. Roger Road, every day. Our lost and found phone number is 327-6088, ext. 111. You may also attach a digital photograph (JPEG) of your pet at lostandfound@hssaz.org. Click here to view Lost and Found Pets of Pima County Facebook page. Call Pima Animal Care Center at 724-7222, and visit the shelter in person at 4000 N. Silverbell Road daily to view all incoming animals. Frequent, personal visits are important; do not rely on phone information alone! To search for animals at PACC, visit found dogs and visit found cats. If you have found a stray dog or cat that has identification tags, please call the owner immediately. 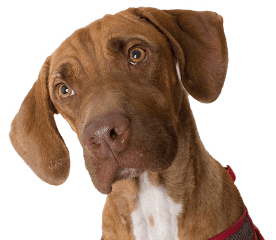 If the pet does not have identification tags you can take the pet to most veterinary offices, Pima Animal Care or the HSSA to have the pet scanned for a microchip. There is a $45 animal care fee to surrender a found pet to the HSSA. If you have found a pet and cannot keep it until the owner is found, click here for more information.